Debuting three new titles this year, the DC Universe Animated Original Movie direct-to-video animated feature line from Warner Home Video moved nearly one million DVD units in 2009. Over 900,000 of those units came from the three new DC Universe Animated Original Movie titles that debuted this year – Wonder Woman, Green Lantern: First Flight and Superman/Batman: Public Enemies – and those numbers are expected to grow during the December 2009 holiday season. Among the three new DC Universe Animated Original Movie titles, the September 2009 Superman/Batman: Public Enemies animated feature made the biggest splash of this years releases, moving an estimated 342,000 DVD units since hitting shelves. Home video retail outlets are expecting the title to finish with at least a total 350,000 of units sold by the end of 2009. The direct-to-video Superman/Batman: Public Enemies animated feature debuted to an estimated 198,000 DVD copies sold in its first week of sales, during the week ending October 4th, 2009. The second DC Universe Animated Original Movie title released this year, released during the summer sales season, the direct-to-video Green Lantern: First Flight animated feature has sold an estimated 286,000 copies since its mid-year debut. The direct-to-video Green Lantern: First Flight animated feature debuted to an estimated 160,000 DVD copies sold in its first week of sales, during the week ending August 2nd, 2009. The Annie Award nominated feature is expected to finish 2009 with at least a total of 295,000 DVD units moved according to home video retail outlets. Lastly, the first 2009 release under the DC Universe Animated Original Movie banner, Wonder Woman has moved an estimated 292,000 DVD copies since premiering during the first quarter of the year. The release has boasted consistently stable sales throughout the year despite having the lowest debut week of all the DC Universe Animated Original Movie titles to date. Wonder Woman debuted with 107,000 in DVD sales in its first week, the week ending March 8th, 2009, though sales quickly leveled off after the standard second week plunge. The critically-acclaimed direct-to-video animated feature is also expected to finish out 2009 with a projected estimate of 295,000 DVDs unit sold according to home video retail outlets. Please note the above sales numbers do not take into account rental numbers, OnDemand numbers, legal download numbers, or high-definition release sales. Additionally, though not under the DC Universe Animated Original Movie line, Warner Home Video and Warner Premiere also debuted the direct-to-video animated tie-in feature Watchmen: Tales of the Black Freighter, tying into the live-action Watchmen Spring 2009 theatrical release. While the home video premiere title stumbled out of the gate with 42,000 in DVD sales for its first week, the week of March 29th, 2009, the title has since moved an estimated 198,000 copies since its debut, and will likely top out with a respectable 200,000 DVD units moved by the end of 2009. A co-production of Warner Premiere, DC Comics and Warner Bros. 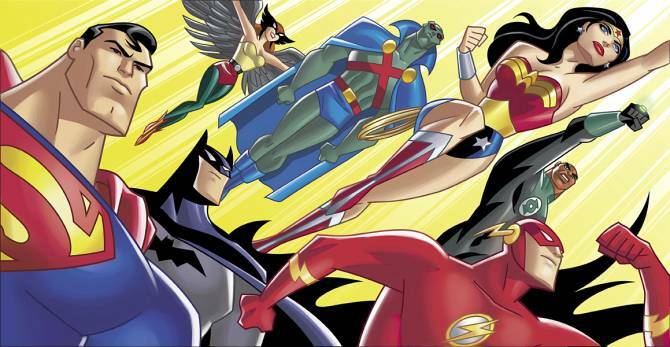 Animation, the DC Universe Animated Original Movie line is expected to release between two three new direct-to-video animated features in 2010, with the next title, Justice League: Crisis on Two Earths, set to debut February 23rd, 2010 on DVD and Blu-ray disc. Two additional direct-to-video animated features are set to follow later in the year. 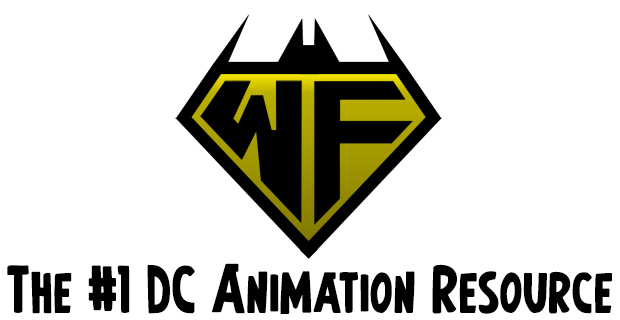 Stay tuned for updates on current and upcoming DC Universe Animated Original Movie titles here at The Worlds Finest, including exclusive content and more. More details on the entire DC Universe Animated Original Movie can be found here at The World’s Finest special dedicated subsite. 2009 Sales information for Planet Hulk, the Marvel Animated Features production from Marvel Animation and Lionsgate Home Entertainment, is available at Marvel Animation Age. Click here for more details. Note: The staff of The Worlds Finest would like to wish everyone Happy Holidays and all the best for the New Year. 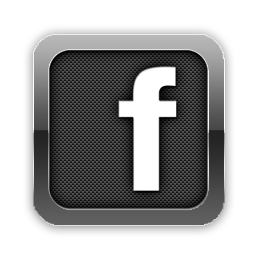 Additionally, the staff here at The Worlds Finest will be taking a break from regular news updates for the next week, from December 28th, 2009 to January 1st, 2010. 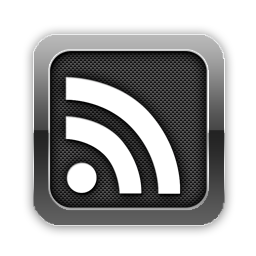 Regular news updates will return January 4th, 2010. 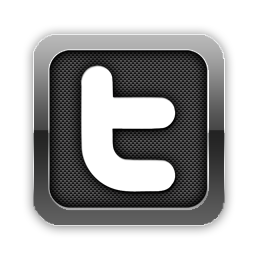 However, keep checking The World’s Finest and The DC Animation Forum daily for special updates and breaking news. The World’s Finest caught up with famed comic and television writer Jeph Loeb for a quick Q & A to share his thoughts on the recent direct-to-video Superman/Batman: Public Enemies animated feature released under the DC Universe Animated Original Movie banner by Warner Home Video. The Superman/Batman: Public Enemies animated feature arrived on home video in September 2009. The animated feature adapted the six-issue story arc of the same name, originally written by Loeb, from the Superman/Batman comic series currently published by DC Comics. The story features Superman and Batman facing off against Lex Luthor, now President of the United States. The Worlds Finest: First up, what are your thoughts on the finished product? Jeph Loeb: I thought it was great. Any time we can get our stories out there beyond comics is awesome. WF: What did you think of the changes made, such as the new explanation for the bounty on Superman’s head, or the altered ending (I.E., no more “There will be a crisis..”), etc? Any alterations you disagree with? JL: I think it helps that I work in television and film already. I understand the challenges of making a story accessible to an audience that isn’t reading comics. Things like “There will be a crisis” is super cool for the comic book reader, but how would that translate to everyone else. So it was all good. WF: What about the art-style? Did you find it faithful, and that it translated the visuals successfully? JL: Its always a challenge to take something that is 2-D and animate it. Both Ed [McGuinness] and I were thrilled with the end vision. WF: Based on the impressive debut for the title, Warner Home Video has greenlit a second Superman/Batman movie. Which other story Superman/Batman story that you penned would you like to see adapted. Why? JL: I hear rumors that they are doing Superman/Batman: Supergirl which introduces Supergirl to the DCU. It has a great cast, including Wonder Woman and and the villain Darkseid, and as written, a true origin story for Supergirl. All that and Michael Turner’s astonishing artwork. Go for it! WF: Do you have any last thoughts on the title? Good? Bad? Do you hope you’ll see more of your work animated? JL: I’d love to see more of it and if I have the time, be able to do the adaptation myself! WF: To wrap up, what projects do you have on your plate right now? JL: I’m about to begin this giant epic adventure over in Hulk revealing all the secrets of the Red Hulk starting in January. In February, a new project called Ultimate X with beautiful illustrations by Arthur Adams. And in March, I’ve got New Ultimates coming out with extraordinary artwork by Frank Cho. I’m very proud of what’s to come in 2010! The World’s Finest would like to thank Jeph Loeb for his participation! A co-production of Warner Premiere, DC Comics and Warner Bros. 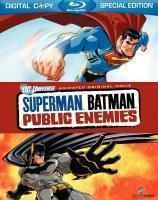 Animation, Superman/Batman: Public Enemies is now available to own on DVD and Blu-ray disc. The next title under the DC Universe Animated Original Movie banner, the direct-to-video Justice League: Crisis on Two Earths animated feature, debuts February 23rd, 2010 on DVD and Blu-ray disc. Stay tuned for further Justice League: Crisis on Two Earths updates, including exclusive content and more. Below are official descriptions and airdates for episodes of the Batman: The Brave and The Bold animated series slated to air in January 2010 on the Canadian network Teletoon. Please note the information listed below is provided by Teletoon. 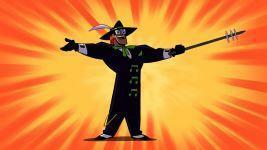 Batman and Black Canary are pitted against Music Meister, who is able to exert powerful mind control through song. Continuing the episode schedule update, below are official descriptions and airdates for the episodes of the classic Justice League animated series slated for January 2010 on the Canadian network Teletoon. Once again, the information listed below is provided by Teletoon. Returning home to Themyscira, Wonder Woman finds that a powerful sorcerer named Felix Faust has turned her mother, Hippolyta, and her Amazon sisters to stone. The only way that she can free them from this evil enchantment is to help Faust find the lost fragments of an ancient relic that will give him ultimate knowledge. First part of a two-part episode. Returning home to Themyscira, Wonder Woman finds that a powerful sorcerer named Felix Faust has turned her mother, Hippolyta, and her Amazon sisters to stone. The only way that she can free them from this evil enchantment is to help Faust find the lost fragments of an ancient relic that will give him ultimate knowledge. Second of a two-part episode. When Superman is apprehended by intergalactic slave traders, he is taken to a savage planet called War World and forced to fight in endless gladiatorial games staged for the amusement of Mongul, the planet’s ruthless conqueror. While Superman struggles to stay alive in the arena, the rest of the Justice League tracks him down and tries to rescue him. Additionally, Teletoon Retro has provided initial schedule details for classic Batman: The Animated Series episodes scheduled to air on the specialty Canadian network in January 2010. Please note the schedule information listed below is provided by Teletoon. In the midst of Catwoman being attracted to Batman, and Bruce to her alter-ego, Selina Kyle, Catwoman discovers evidence of a military facility inside a mountain on a future resort site. As it turns out, the cartel involved is fronting for an international terrorist group headed by Red Claw, a mysterious female terrorist. When a horrifying bat creature terrorizes Gotham City, the authorities conclude it must be Batman and put out an all-points bulletin on the Dark Knight. Batman’s investigation leads him to the laboratory of Kirk Langstrom, who has been experimenting with a formula that turns him into the ManBat creature. Not only does Batman have to capture Man-Bat in order to save Langstrom, but also to set the police straight and clear his name. Mr. Freeze, thirsting for revenge against the sleazy CEO who destroyed his life, begins to steal various equipment from GothCorp. Batman’s sympathy is with Freeze, but first he has to stop him from using the equipment to destroy a building filled with innocent people in order to carry out his vendetta. Matt Hagen, a popular actor is addicted to a strange chemical formula developed by Roland Daggett’s labs. This chemical gives him the ability to alter his facial features without makeup, keeping his looks so that his public doesn’t know he was horribly disfigured in an accident years ago. But in return for the stuff, Daggett has him play ‘roles’ that aren’t entirely legal. After a disagreement, Hagen is doused in the formula, becoming the deadly shape-shifter, Clayface. Please note the schedule is likely to change without notice, but stay tuned for any updates. Batman: The Animated Series airs Fridays at 6am (ET), 7pm (ET), and 12am (ET) on Teletoon Retro beginning January 8th, 2010. 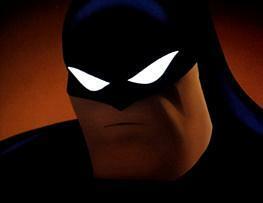 Click here for further details on Batman: The Animated Series. 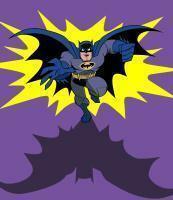 Cartoon Network has confirmed that new episodes of Batman: The Brave and The Bold are currently scheduled to air on the network in January 2010, including the debut of an all-new episode next week. Schedule and initial new episode details for Batman: The Brave and The Bold installments slated to air in January 2010 are available below. Blue Beetle’s scarab is revealed to be linked to an army of evil aliens known as the Reach. Does he have the power to resist their influence? Aquaman attempts to take a family vacation with Mera and Arthur Jr., but can’t resist helping heroes along the way. Aqualad, Robin and Speedy have had it with being bossed around and demand a piece of the action, but they get more than they bargained for when they find themselves facing off against Ra’s Al-Ghul and his flying island! 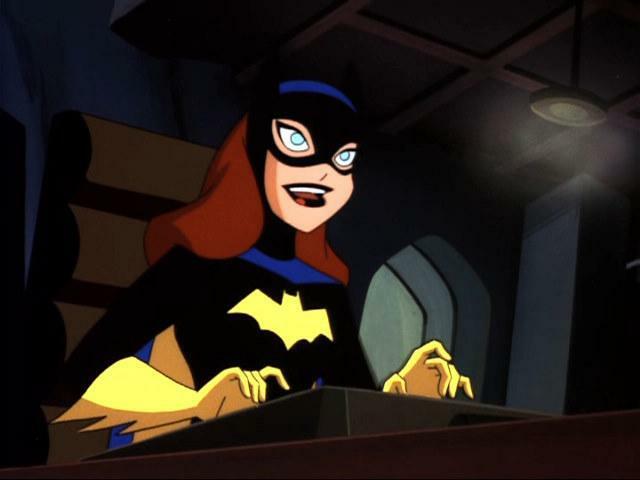 New installments of Batman: The Brave and The Bold are slated to air well into 2010, including the premiere of the highly-anticipated “Chill of the Night!” second season episode. Episode specific details, including images, videos and episode descriptions, are forthcoming. Please note that schedule details are subject to change without notice. Click here for a recent interview with James Tucker, Producer and Lead Character Designer for Batman: The Brave and The Bold. Stay tuned for further updates, including images, clips and details on upcoming episodes of Batman: The Brave and The Bold. Announced earlier this month, the Green Lantern: First Flight direct-to-video animated feature received a nomination in the 37th Annual Annie Awards, awards recognizing the years best animated features, television productions, commercials, short subjects and more. The nomination is as follows. When asked if he would consider writing a follow-up for Green Lantern: First Flight, Burnett seemed fond of the idea. The Annie Awards honor overall excellence in the field of animation as well as individual achievement in a total of 24 categories ranging from production design, character animation, and effects animation to storyboarding, writing, music and voice acting. More details can be found at the official website for the 37th Annual Annie Awards. Award recipients will claim their trophies at the 37th Annual Annie Awards scheduled for Saturday, February 6th, 2010 at UCLA’s Royce Hall in Los Angeles, California. 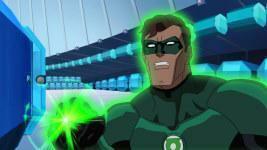 Click on the above image to view complete coverage of the recent Green Lantern: First Flight direct-to-video animated feature, released to home video in July 2009. Stay tuned for further updates.